Author Maggie Fox. Author Sue Ryding. Strangers on a Train Set archive with 11 listings from Friday, 15th February 2019 to Friday, 5th April 2019. Strangers on a Train Set tickets at Theatre Royal, Winchester». Strangers on a Train Set tickets at Chipping Norton Theatre, Chipping Norton». 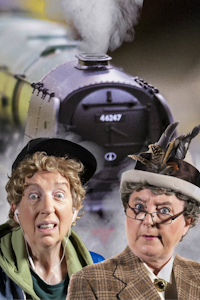 Strangers on a Train Set tickets at Theatre Royal, Bury St Edmunds». Strangers on a Train Set tickets at Middlesbrough Theatre, Middlesbrough». Strangers on a Train Set tickets at Meres Guildhall Arts Centre, Grantham». Receive email notifications of changes and updates to Strangers on a Train Set.